Deciding to have cosmetic surgery can be daunting. Wouldn’t it be great if you could “try on” that new nose or larger breasts before committing to surgery? 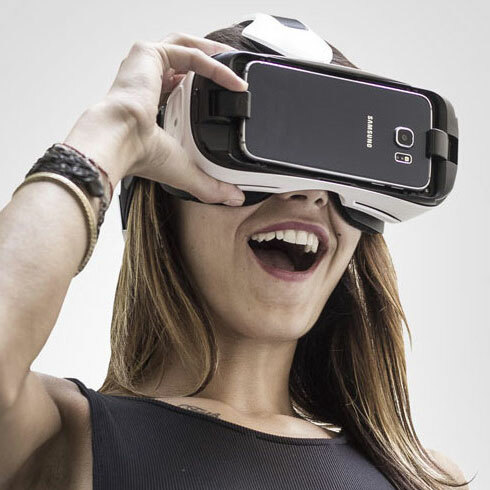 Thanks to the latest developments in 4D virtual reality, you can. Ocean Clinic Marbella is one of the first plastic surgery clinics on the Costa del Sol to offer this advanced service. It means that patients can finally have an answer to the question, “What will I look like after surgery?” - simply by popping on a VR headset and looking into a virtual mirror. How does 4D virtual reality imaging work ? The 4D simulation technology can be used to visualise all sorts of face, breast and body procedures. To see what you would look like after a facelift, with fuller lips or a flatter tummy, all that is required is three normal photographs. The consultant takes the photos from three different angles (left, centre and right) and then uploads them to the Crisalix software. Within minutes the system generates realistic 3D views, which show how the patient would look post-surgery from various perspectives. But to really get an idea of what to expect, patients need to “try on” on the body modifications. To enable them to do this, the 3D images can be viewed wearing a virtual reality headset, creating a 4D environment you can interact with. It appears to the viewer as if they are looking at themselves in a three-way mirror. They are also able to look down at their own virtual body. This means breast augmentation patients can actually “see” the new breasts on their chest. It’s so realistic, most patients reach out to touch them! What procedures can be visualised in 3D/4D ? Nearly all cosmetic procedures can be simulated, including minimally invasive treatments such as Botox and fillers. Being able to visualise changes to the face is especially valuable for patients, since procedures such as rhinoplasties and chin implants can dramatically alter appearance. When it comes to breast augmentation planning, the Crisalix system really comes into its own with the ability to simulate almost every implant available on the market (more than 5,000 models). It also lets patients try on a virtual wardrobe of clothes to see how their breasts would look in different outfits. How accurate are the results ? It will never be possible to give patients an exact picture of how they will appear after surgery, this is because of all the variables that can affect your outcome, such as the way your body heals. Despite this, it can give you a very good idea. Head surgeon at Ocean Clinic Dr Kai Kaye says the new technology is a useful tool to add to existing consultation techniques: “For patients to achieve realistic expectations prior to surgery it is still necessary, first and foremost, to have good verbal communication with the surgeon. However, this is a wonderful tool for helping patients visualise how they will look after surgery.